Your weekend: Have an adventure that sizzles - GetGoing NC! 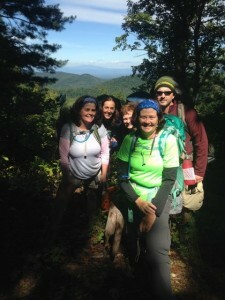 A lot of folks like the idea of going on a group hike or walk. 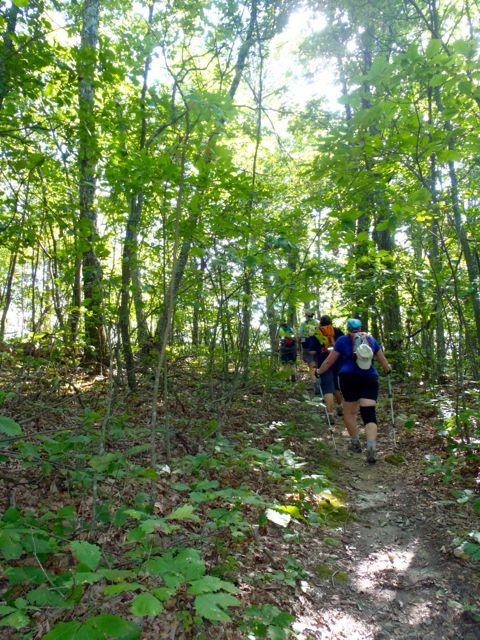 Trouble is, the vast majority are long and geared toward more advanced hikers. The opportunities to test the trail waters on shorter, friendly hikes are few. That’s why we like Saturday morning’s Wellness Walk at Smith Creek Park in Wilmington. It’s a friendly distance (1.3 miles) on a friendly surface (pavement) in a most friendly environment. 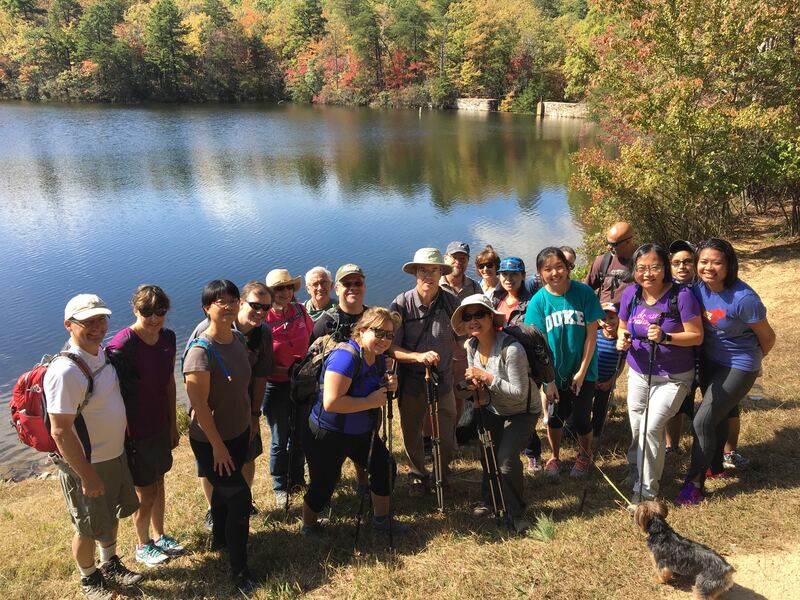 Enjoy the woods and lake, hike with others who aren’t heck-bent on setting a speed record, and discover why walking/hiking is the most popular — and one of the most beneficial — forms of exercise. Logistics: Saturday, Aug. 13, 9 a.m., Smith Creek Park, 633 Shenandoah Street, Wilmington. Sponsored by New Hanover County Parks and Gardens. More info by calling 919.798.7275. Saturday forecast: Sunny with temperatures in the low 80s at hike time. Looking ahead: Paddle the Millpond, Saturday, Aug. 27, Merchants Millpond State Park, Gatesville. More info here. We all have that one adventure on our list that, for no good reason, we’ve yet to try. Nope, hard as we try, we can’t figure out why it’s yet to be checked from our list. If fly fishing is that thing for you, then check out Saturday’s Stone Mountain Trout Fishing Guide, at — Anyone? Anyone? — Stone Mountain State Park. 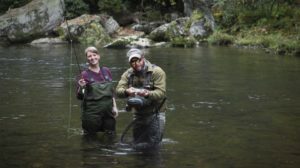 A ranger will discuss trout species in the park’s designated trout waters, and will also discuss seasons, creel limits and bait restrictions. 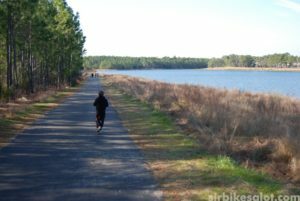 The program is just 45 minutes, leaving you plenty of time to explore Stone Mountain’s scenic — and challenging — 23 miles of trail. Logistics: Saturday, Aug. 13, 1:30 p.m., Stone Mountain State Park. For more information, go here. Saturday forecast: High of 79, chance of thunderstorms. Looking ahead: Ascent of the Century, climb Mount Mitchell with N.C. State Parks and the N.C. Museum of Natural Science, Aug. 26-28, $75. More info here. Are you having a stellar season on the bike? Riding three or four times a week, putting in the miles, crushing the climbs? Then you’re probably up for a good challenge. Such as Sunday’s Race to the Rock, at Chimney Rock State Park. 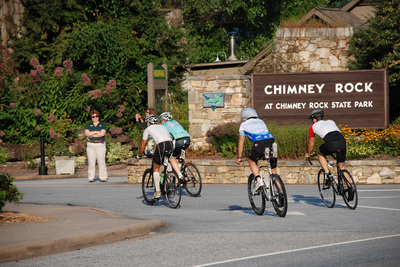 It’s a 25-mile bike race that gains 900 vertical feet in the last three miles alone (the grade ranges from 7 to 9 percent), finishing at the base of Chimney Rock. Part of the Lake Lure Olympiad. 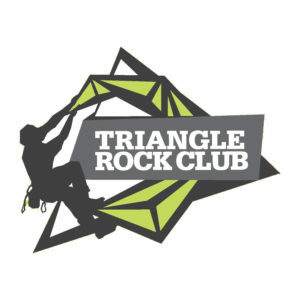 Logistics: Sunday, Aug. 14, 7:30 a.m., Chimney Rock State Park. $45. More info here. Sunday forecast: Race time temperature of 81, chance of thunderstorms. Looking ahead: Asheville Duathlon, 10K off-road run, Sept. 11, 8:30 a.m., Biltmore Estate. More info 828.684.0812, or go here.